The newest gift to the David A. Cofrin Library carries a very recognizable name. The Robert L. Ganyard Library Endowment has been established by Dr. Debra Ann Reilly, M.D., medical director of the University of Nebraska Medical Center Burn and Wound Center, Omaha. 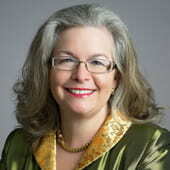 Dr. Reilly, who is also an associate professor for the plastic and reconstructive surgery division at UNMC, is the sister of University of Wisconsin-Green Bay Associate Professor Clif Ganyard (Humanistic Studies) and the sister-in-law of Cofrin Library Director, Paula Ganyard. The purpose of the gift is two-fold. First, it honors the memory of Dr. Reilly’s stepfather, Robert L. Ganyard (see biography below) — a teacher, researcher and author, and a voracious reader who encouraged his children to do the same. Secondly, Reilly wanted to encourage Clif and Paula in their careers and leverage the library for future donations. The endowment will provide funds to support the mission of the Cofrin Library and was established intentionally to provide the director the flexibility to determine how best to use the spendable endowment earnings that will be available each year. 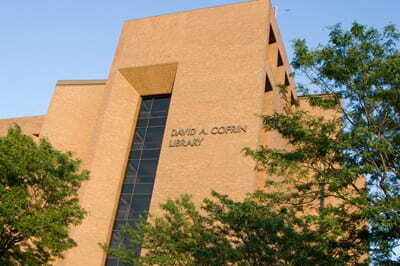 It could be used to cover expenditures related to collection acquisitions (including books, databases and electronic resources); preservation of existing collections; purchase of specialized equipment or furniture; professional development stipends to honor librarians who distinguish themselves in their work; or scholarship awards for students working in the Cofrin Library, for example. Clif was surprised by the gift and pleased that it was dedicated to his father, who he describes as, “first and foremost a dedicated teacher, who taught Colonial American History at SUNY at Buffalo for most of his career.” Clif said it seemed appropriate that the endowment be created in his name at an institution that places so much emphasis on education. Paula Ganyard, who was appointed director of the Cofrin Library after serving previously as the University’s webmaster, and prior to that, as a member of the library staff, said the gift opens up opportunities for others to donate to the library through the faculty/staff campaign, the annual fund, or just for their love of libraries. She expects the endowment will provide funds for collections or special projects that will help in enhancing the student learning experience. In addition to the Ganyard Endowment, Dr. Reilly contributes to funds for her high school, the national plastic surgery organization, the Girl Scouts and many performing arts associations in her locale. Robert Ganyard was an emeritus associate professor of history at the State University of New York (SUNY) at Buffalo. He graduated in 1948 from the University of Buffalo and received his master’s degree in 1950. 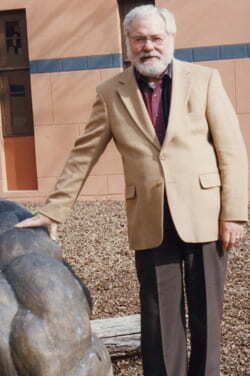 He received his Ph.D. in 1963 from Duke University, specializing in American Colonial History. He taught at the University of Houston until he returned to UB in 1964. He served seven years as director of the Interdisciplinary Degree Program and three years as the history department’s director of graduate studies. He is well known for his book, The Emergence of North Carolina’s Revolutionary State Government, published in 1978, in addition to numerous articles and book reviews. He retired from SUNY at Buffalo in 1991. This entry was posted in Giving Back and tagged Cofrin Library, gifts on February 3, 2010 by Sue Bodilly.